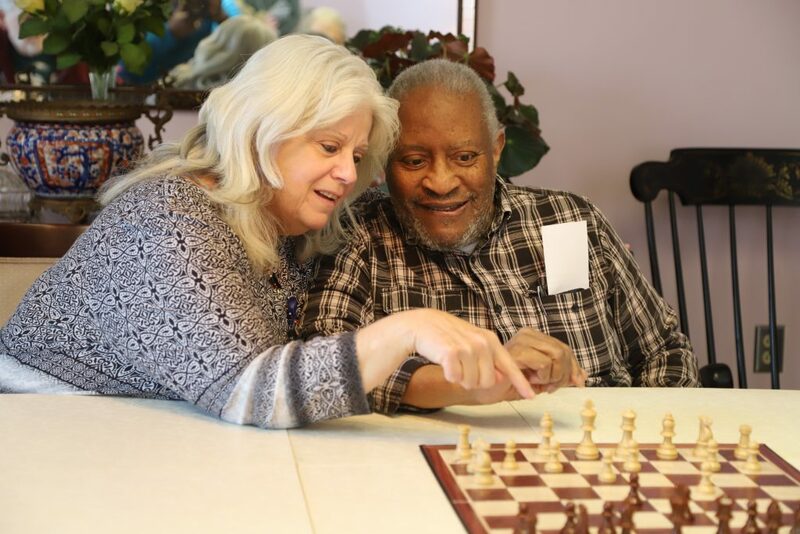 Prior to moving into Riverview Estates’ assisted living community, each resident is assessed by a nurse to determine the level of assistance needed with activities of daily living (ADL). We use the results of this assessment to decide on the level of care needed for each resident. Collecting as much information as possible is vital to the level of care we provide. During the assessment, the nurse completes a Functional Assessment form, with 23 functions listed. A point system is used to interpret the level of care needed, with 1 being “independent” and 5 being “totally dependent”. BATHING – The assessment determines the resident’s ability to shower either independently or with some type of assistance from staff. HYGIENE – Many residents need cueing and/or assistance with hygiene. We can provide this assistance if necessary. Proper hygiene can make the resident feel good about themselves and provide a positive attitude. DRESSING – The assessment determines if the resident can dress/undress independently or needs some level of assistance. EATING – The resident is assessed to see how well they can manage eating in the Main Dining Room and whether they need adaptive devices or other assistance. MOBILITY – The assessment determines if a resident can ambulate on their own, or needs an assistive device to ambulate through the community. MEDICATIONS – The assessment determines if a resident is able to self-medicate – a thorough “test” is done to determine if a resident is safe to self-administer meds – or if licensed staff is needed to help. CONTINENCE – The assessment determines the level of continence/incontinence the resident may have, if protective undergarments are used and if assistance is needed in changing undergarments or toileting. MENTAL STATUS – Assessment will determine if a resident is alert and oriented to people, place and time. Assessment also discusses transportation, telephone use, shopping, well-being, behaviors, wandering and sleep. Food prep, housekeeping and laundry are also listed in the functional assessment but the facility handles these areas.